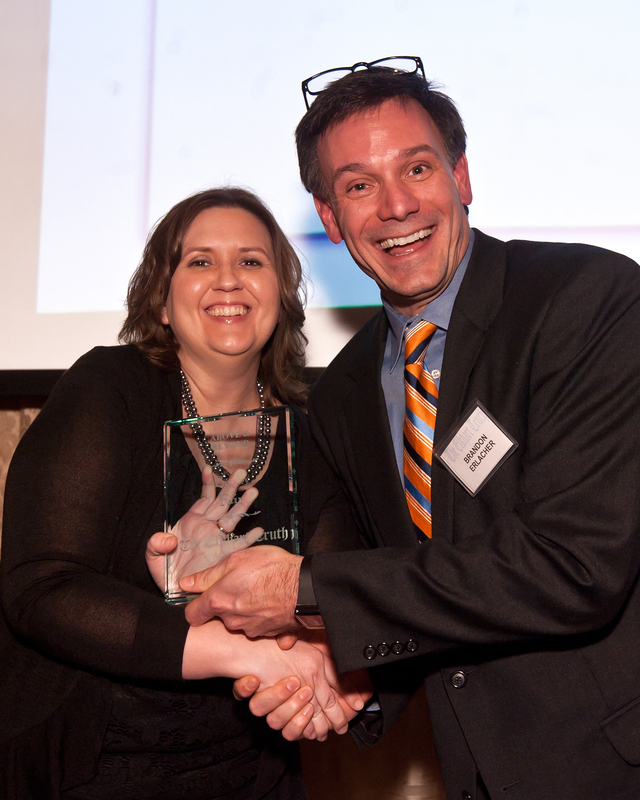 It has been a whirlwind trip thus far in #NYC for the 2014 Local Media Association Innovation Mission (#LMAIM.) I am writing this as I sit on a plane headed to San Francisco for the second half of our trip so I will provide additional insights from #SFO in a later post. Face to face meetings we have had so far include The Wall Street Journal, The New York Times, Simulmedia, Gatehouse Media, RegionalHelpWanted.com, BuzzFeed, Russmedia and CBS Local Media. 1. Native is front and center. But other companies are moving into native with the same zest and vigor. The New York Times has been experimenting with native for some time now. They believe that the “agency world is not yet well equipped to deal with quality native creation.” This gives them a way to clearly differentiate. All of their native content is placed on a subdomain of their website: paidpost.nytimes.com. There is not a landing page, nor is the content available directly via navigation. But the rules of engagement are clear, from labeling, creation, price and down to how many times the content will show up in the newsfeed. It gets SEO lift and based on the Geico sponsored travel quiz I demoed on their site this morning, it appears brands are ready to get involved and support this with their pocketbooks. Native is not a fad. Time to get on board and develop those products in your local market. 2. Innovation does not just equal digital. Initiatives coming out of GateHouse Media’s new Print and Design Center in Austin, Texas. And CBS is doing just that. 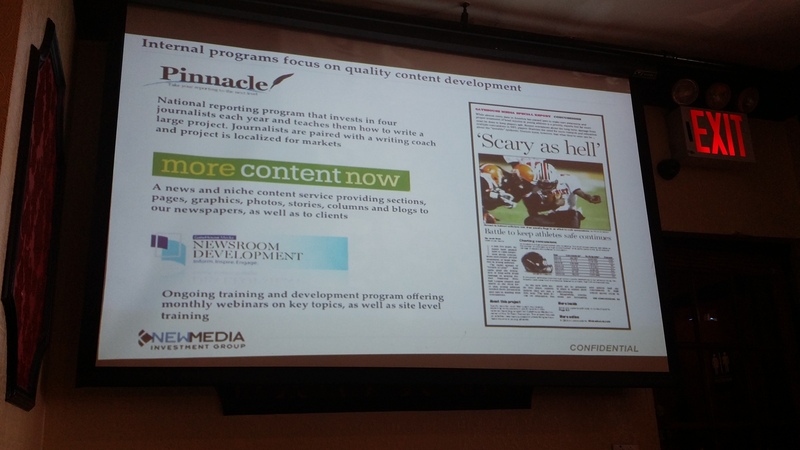 Great examples includes new video content like the Tailgate Fan or music documentaries on Radio.com. “Take radio and turn it into video,” Kucharz said. 3. Journalism needs more than display ads to survive. 4. Partnering is key to competing locally. His logic is simple, and the success of his business shows that it works. In the markets he operates, local businesses and ‘jobseekers’ turn to regionalhelpwanted first. Rather than have all the local media players compete against each other in a market and have the national brand swoop in and take or continue to enjoy share, instead create a strong single presence that is #1 in that category. A great example of leveraging the strong brand power of traditional media into a vertical that was assumed lost by the local media industry. 5. Disrupt yourself before you are disrupted by a competitor. 1. Mobile traffic will exceed desktop traffic in Austria this year. Mobile is our focus. 2. There will be even greater specialization and fragmentation by digital portals. 3. Geography is becoming less and less important. 5. There is not just one transformation inside the company occurring, but several. 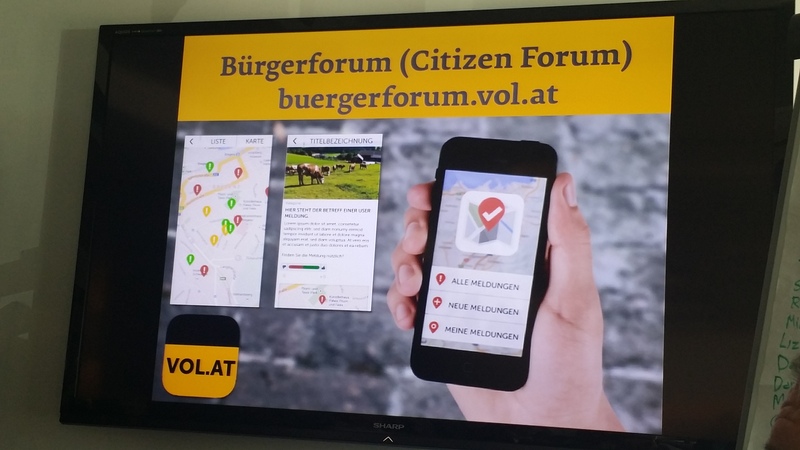 Citizen Forum App created by Russmedia. See.Click. Fix. 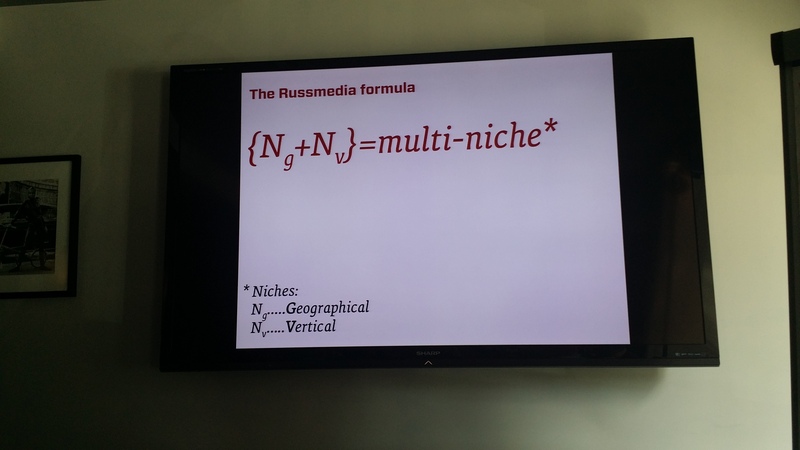 Russmedia believes that that the way to create value is to ‘dig deeper than Google ever could.’ They create news for the ‘heads down’ generation. It is short, made for mobile, highly share-able (and via WhatsApp), and is highly consumable during periods of ‘short boredom’. But news is just one job to be done. New product development revolves around making life easier for people. So whether it is traffic, weather, gas prices or reviews of restaurants, Riedmann is focusing separate resources to continually disrupt his print hold in the market. 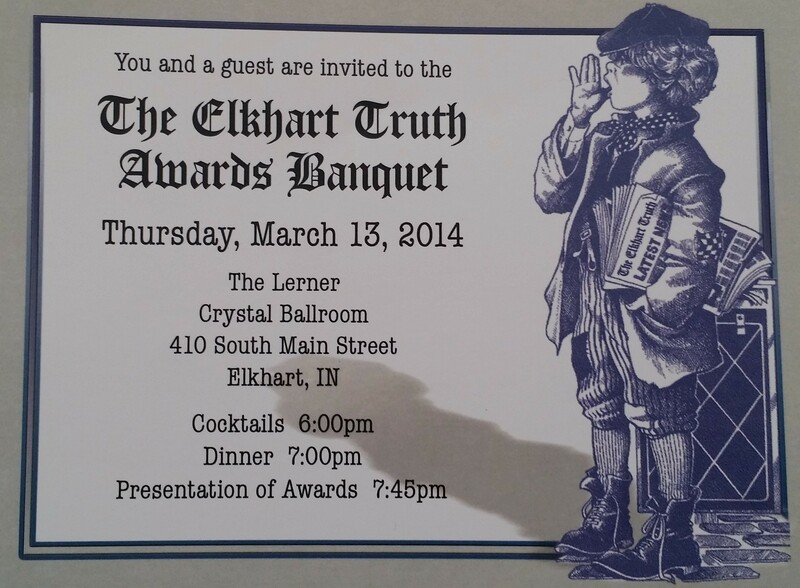 Each year, we take time to recognize the hard work of our talented staff here at The Elkhart Truth. What follows is a recap of a fabulous evening at The Lerner Ballroom in downtown Elkhart, Ind on Thursday, March 13th, 2014. We serve dinner after an hour of cocktails and mingling. The food was fantastic. I had salmon with the most wonderful glaze. 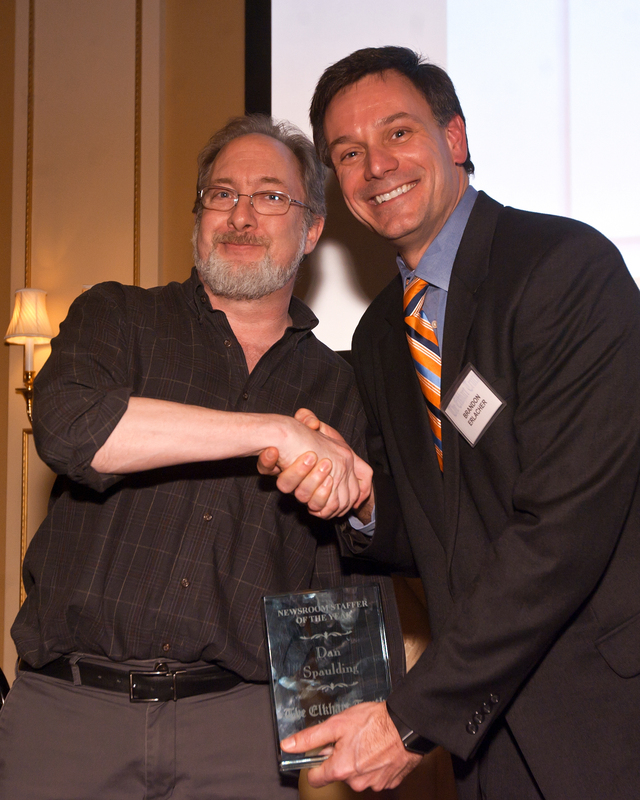 We were fortunate to have a wonderful MC, our own managing editor, Marshall King. 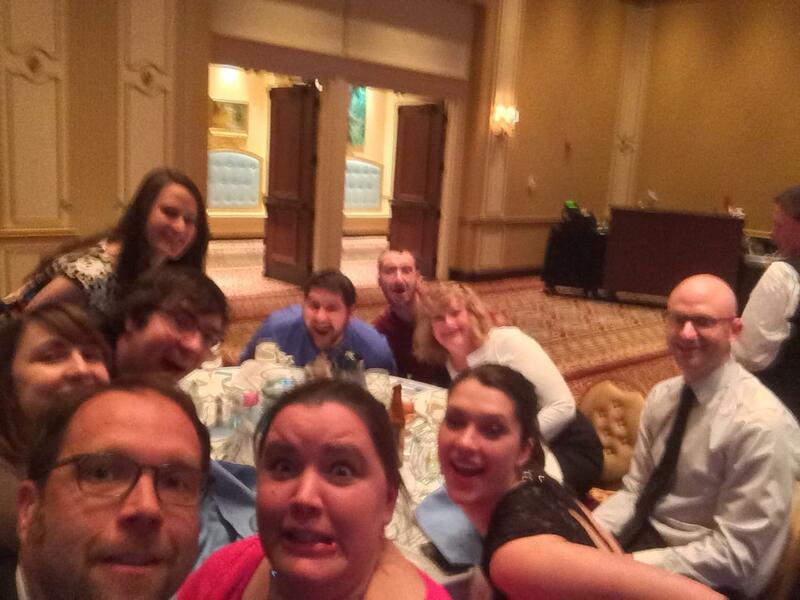 He started with a joke and a selfie reenactment inspired by Ellen. Marshall King, recreating a pop-culture event made popular by Ellen the week prior. Marshall then introduced Truth TV, a video created in-house every year that has become feared by some, but loved by many. A “Top Ten” list done in the style of Dave Letterman, poking fun at the pain we have gone through recently installing a new content management system named Libercus. Greg went on to recognize all departments of our organization, having them stand, and thanking them for their contributions to our mission. 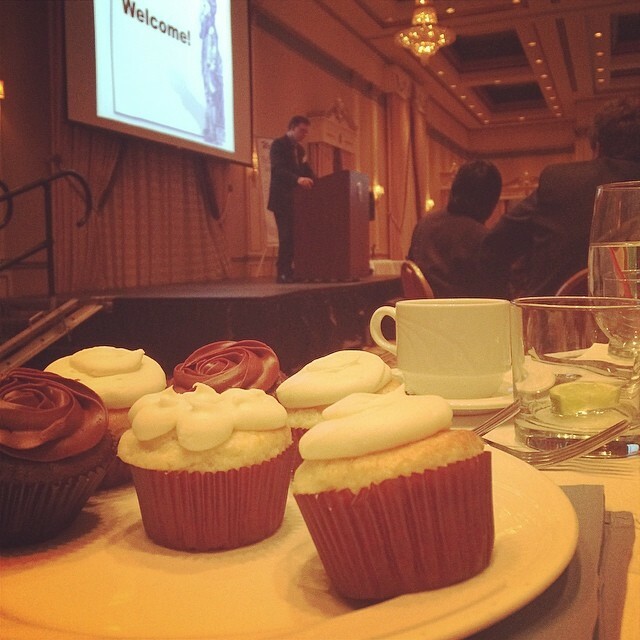 Cupcakes or a speech? Marshall’s FB post during the banquet. Following, you will see a description of each award, the nominees for the award, and the introduction of each award recipient. 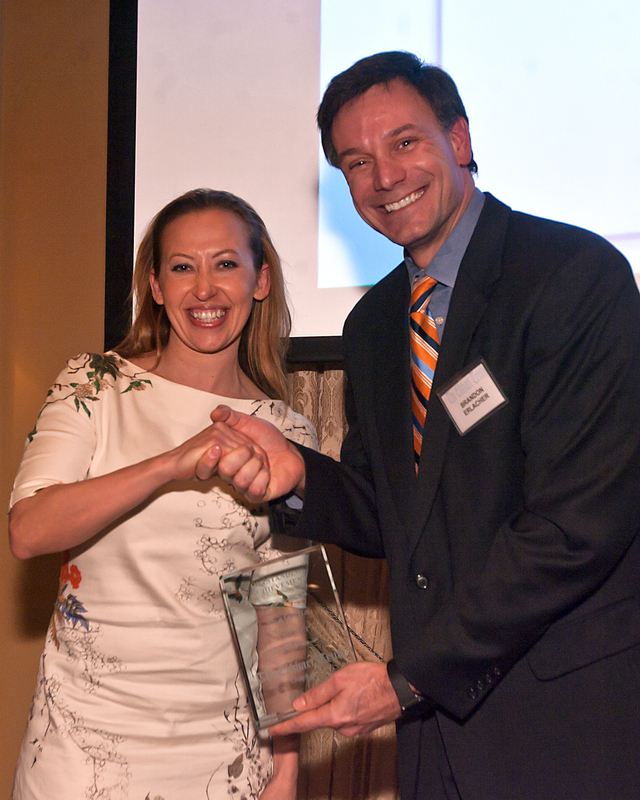 The winner of this award makes serving others a first priority and practices the golden rule. This is a person that consistently sets high standards and lives by them. This person will do whatever it takes to help the other members of the team and is a positive influence. The winner of this award develops a vision, communicates, establishes a sense of urgency, and empowers employees to achieve a change in major process in culture. He or she builds on short term wins to provide a foundation for a permanent organizational change. 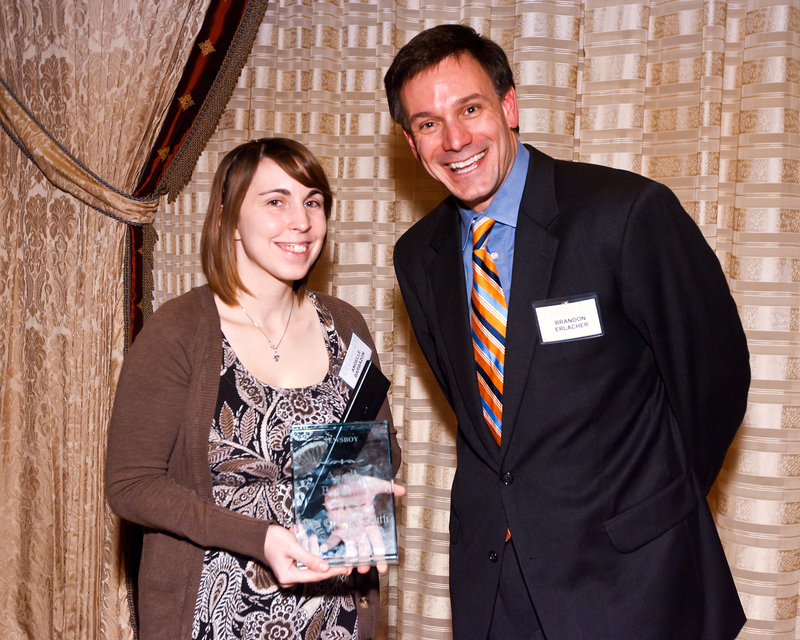 The winner of this award is the top Newsroom performer. The winner of this award demonstrates ingenuity, determination and innovation. He or she seeks results using their drive and passion while breaking down barriers to achieve success. 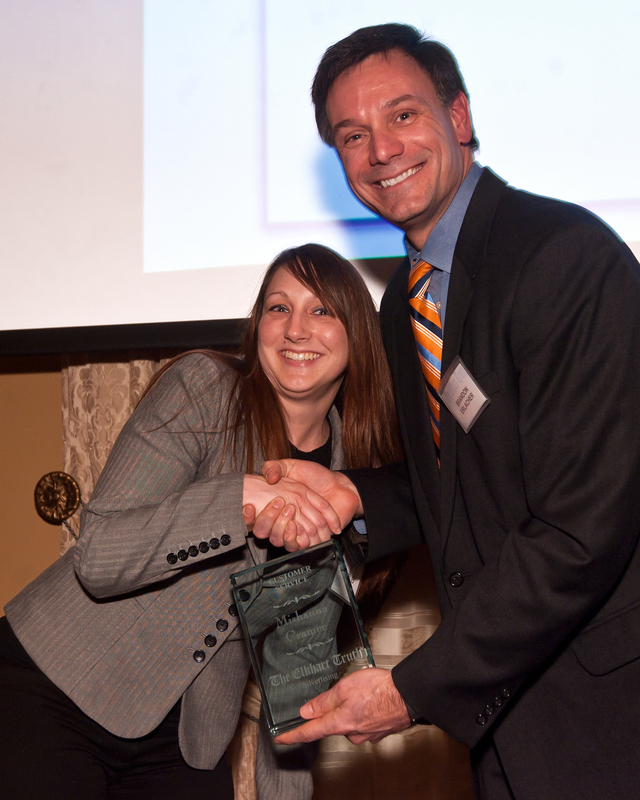 The winner of this award is our top sales performer. 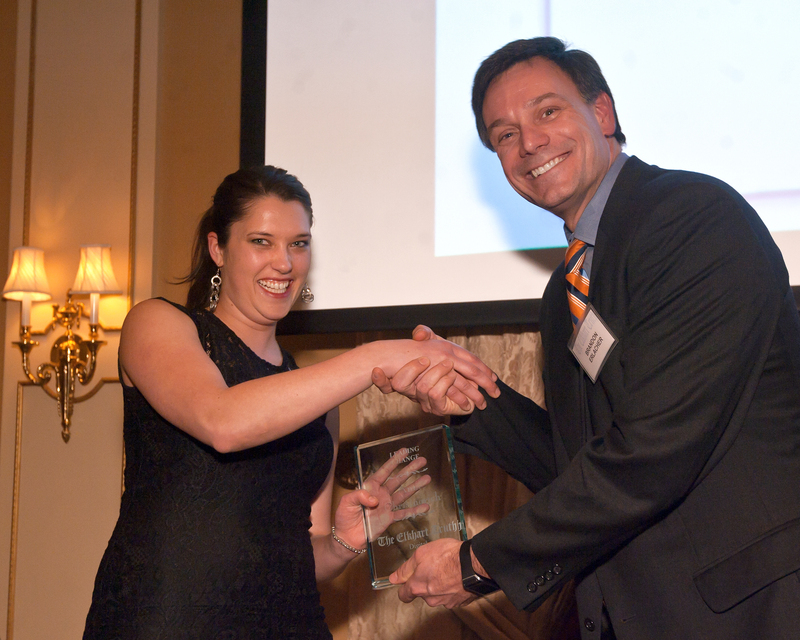 The winner of this award encourages and coaches others to overcome obstacles. He or she sees the “glass half full” and focuses on solutions, not problems. 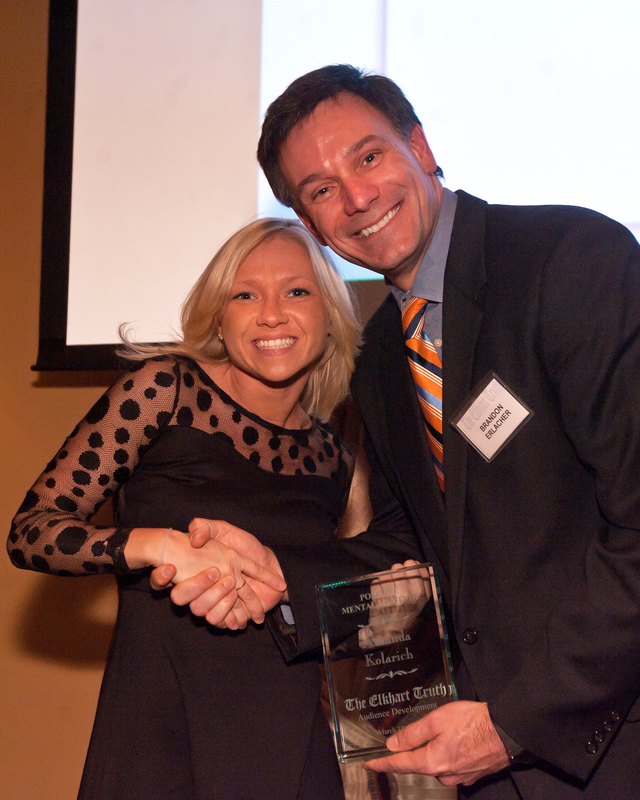 Above all, he or she embraces change with enthusiasm and a smile and makes The Elkhart Truth a better place to work. Our Newsboy for 2014 is Angelle Barbazon. News 2.0 – Is there a need for an editor anymore? **Published originally on my work blog here. 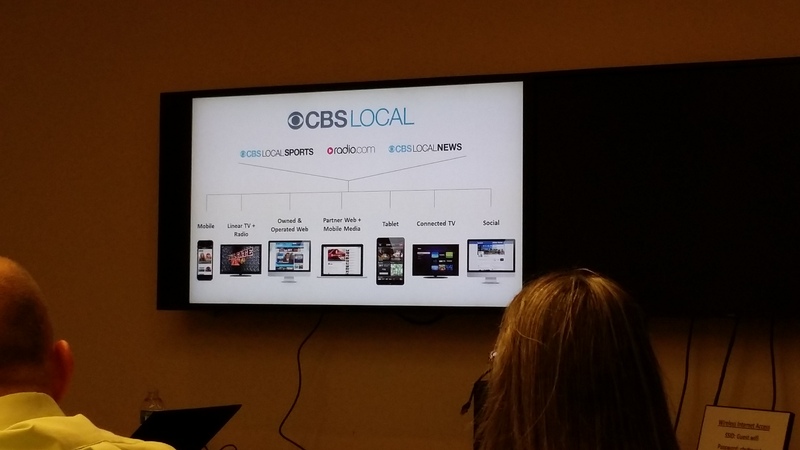 Last week I attended the Social+Mobile, Show Me the Money Conference, put on by Borrell Associates, Local Media Association and Local Search Association in Chicago. (Twitter feed: #somoconf and also check here and here for coverage). 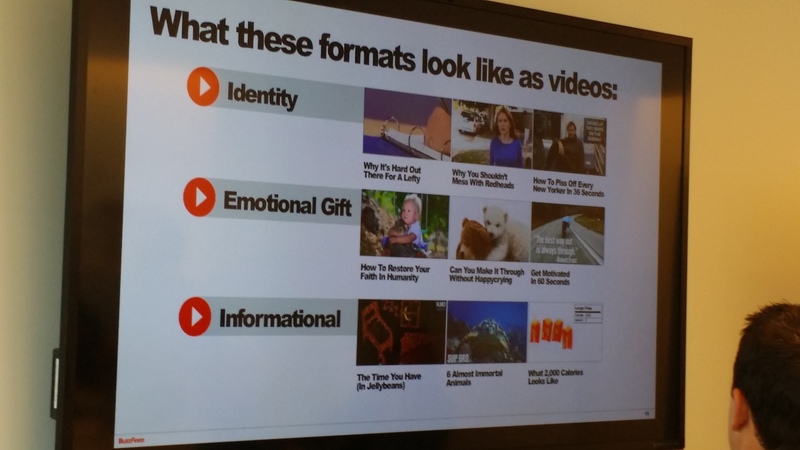 There were some amazing, and frightening, statistics presented by comScore, Facebook, Google and other speakers including this eye-opening video shown by Mark Preston of Hubbard Radio. The way we consume news and information is changing at a pace that is impossible to catch. Believe me, I know. I cannot tell you how many times I have been approached by family, friends and complete strangers in my local community offering their condolences about being a newspaper publisher. Fortunately, our influence and reach continues to grow each and every day through our use of social media and our coverage of the life of those in the Elkhart area. We reach more people than we ever have before. But let’s save that topic for another blog. What I want to discuss is whether there is a need for an editor. That is, someone to tell you what is important and to prioritize the news. According to Nielsen, 92% of people trust recommendations from people they know. So, back in the day, a newspaper with your morning coffee, drive-time in the car (radio) and watching local TV before heading to bed was pretty much the way to get the news. The local newsrooms were the editors who fed you information that was “important” and provided the topics to discuss around the water cooler or dinner table. Times have changed dramatically. I look at how technology has impacted my life and interactions. I have a cell phone that keeps me connected 24/7. I really no longer need a desk, or the company phone that sits on it, a home telephone, or in many cases, even a computer. My children and I communicate via text messages throughout the day. I look to apps from Google, Facebook, LinkedIn, Twitter, Flipboard and Pinterest to gather information and communicate with family, friends and peers. I keep my files in the cloud so they are available from anywhere. I even stream entertainment from Chromecast, YouTube, Pandora and Google Music. But more often than not, I click on links that my friends “share” or “promote” and attach relevance to those before I go to other more traditional sources. I rely on their influence to guide me to what I need to know. Unfortunately, there is a dark and dangerous side to this system. Many of the links take me to a source that is politically motivated or just plain incorrect. Our access to this breadth of information on the internet does not make any of it true. Frankly, it is difficult sorting through all the “tabloid” stories, blogs and even websites created by marketers or persons with agendas. How does one decipher what is real and what one can trust? Google makes its living off of search, and providing relevant results. But no matter what logic is programmed into the code, it cannot filter this stream of information and provide only the truth. Is there still value in investing in a trained journalist who adheres to a code of ethics? Facebook indeed is personal, relevant and useful (based on your friends and likes). In this new world, you get to pick and choose what is important. All of social media gives you this choice, and I find myself quickly scanning through hundreds of posts, multiple times a day, stopping to click on a few that are of interest to me. Google and others are watching and recording my movements, and they serve up more and more content that an algorithm chooses based on my interests. In my case, I end up seeing more information about technology and fantasy football. It is like always eating dessert. The editor is just a self-serving computer script. And that is what worries me the most. What are you missing in your newsfeed? There are still veggies on the plate that we need to consume to be healthy. The role of an editor is great in scope and growing with all of the additional ways we push information today. Assigning journalists to write stories, editing and deciding how information is “played” are some of the primary functions. They are vested and passionate about the areas in which they cover. They have an ego and make strong judgments on what is really important for the community to know. They should be like mom and espouse our local values. (If you can stomach having Marshall King as mom that is…) In reality, an editor takes the firehouse of information and filters it to a manageable stream that is prioritized and consumable. If you trust the brand for whom the editor works, you buy in to that particular set of importance. Trust is paramount. Not one internet giant or social media company truly cares about my hometown here in Elkhart. In this new age, there is a need for balance. Social media is a great thing and has changed our lives for the better. But it does not replace the need for watchdog journalism. Someone that is monitoring the actions of local government officials, school boards and police. Someone that makes sure the community is up to speed on issues like taxes, budgets, crime, education, high school sports, etc. Someone who provides a voice to those that have none. We need to solve our problems on a local level, celebrate our successes and work through our unique challenges as a community. We can use social media as a tool to engage and communicate. In the end, I believe that an editor helps us see and prioritize those local issues most important to the health of our community. So what do you think? Is it important to have an editor providing that front page story?